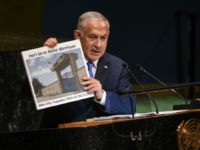 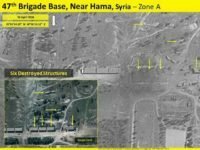 NEW YORK — Prime Minister Benjamin Netanyahu’s revelation at the UN on Thursday of a previously unknown Iranian nuclear site has caused “growing pressure inside Iran,” a senior Israeli official said over the weekend. 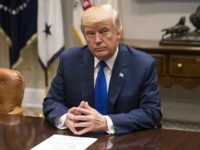 President Donald Trump defended his agreement with North Korea compared to the Iran Deal reached by former President Barack Obama. 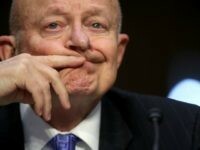 NEW YORK — James Clapper, director of National Intelligence under the Obama administration, issued rare criticism of aspects of the Obama-brokered international nuclear deal with Iran. 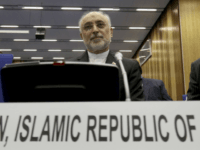 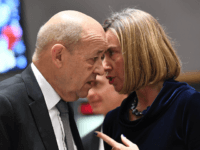 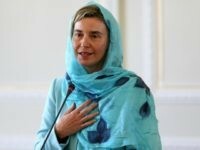 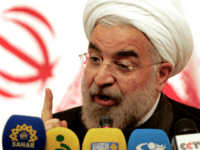 Iran’s plan to boost uranium enrichment capacity did not breach its commitments under the 2015 nuclear deal brokered by Washington, the European Union (EU) said. 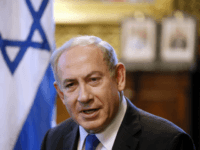 Israeli Prime Minister Benjamin Netanyahu has extended his upcoming European tour to include a meeting with UK Prime Minister Theresa May in Downing Street. 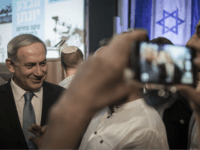 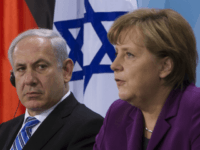 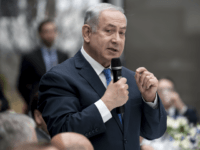 Israel Prime Minister Benjamin Netanyahu is heading for Europe to drive a diplomatic push rallying support for the U.S. withdrawal from the Iranian nuclear deal. 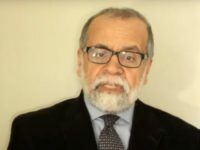 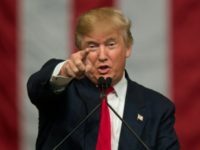 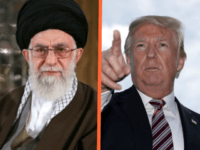 President Donald Trump’s decision to withdraw from the nuclear accord with Iran demonstrates to both U.S. allies and enemies alike that “unlike Barack Obama, Donald Trump keeps his promises,” stated Breitbart’s Jerusalem bureau chief Aaron Klein. 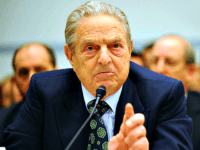 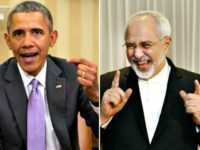 TEL AVIV — A George Soros-financed organization that was previously identified by the Obama White House as central in helping to market the Iran nuclear deal to the news media has warned Donald Trump that he will “own the consequences” of bolting the international nuclear accord. 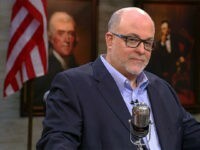 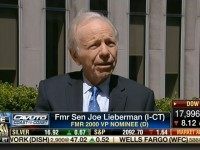 On Tuesday’s broadcast of the Fox Business Network’s “Cavuto: Coast to Coast,” former Senator Joe Lieberman (I-CT) stated that he hopes that President Trump pulls out of the Iran nuclear agreement when the deadline for the deal comes in May. 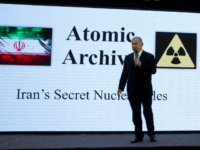 Full text of a presentation by Israel’s Prime Minister Benjamin Netanyahu on Iran’s nuclear program, in Tel Aviv on April 30, 2018. 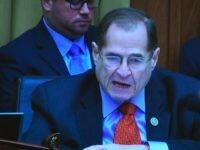 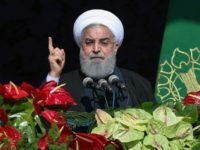 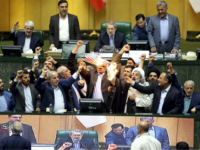 Lawmakers on Monday night largely praised Prime Minister Benjamin Netanyahu’s revelation of a trove of Iranian files he said showed Tehran has long pursued atomic weapons — and continued to do so after the 2015 deal meant to curb its nuclear program. 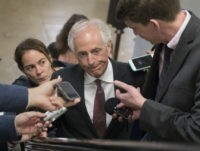 Sen. Bob Corker (R-TN) said that Israeli Prime Minister Benjamin Netanyahu provided “nothing new” in his speech about Iran’s alleged nuclear weapons program. 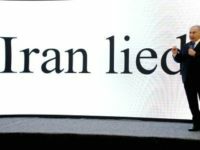 TEL AVIV — In a dramatic press conference here aimed at the international community, Israeli Prime Minister Benjamin Netanyahu on Monday unveiled a cache of secret files he says were obtained from inside a hidden Iranian site and clearly demonstrate that Tehran maintained a secret nuclear weapons program despite declarations to the contrary. 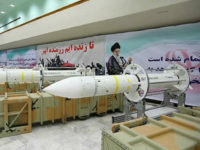 Iran will press on with its missile program regardless of Western pressure to halt it, a senior military commander was quoted on Monday as saying. 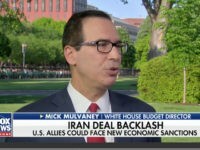 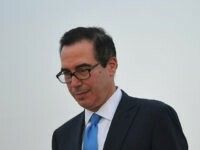 US officials said Friday that President Donald Trump will extend waivers on Iran sanctions, keeping the landmark 2015 nuclear deal alive for at least another several months despite his past vows to scuttle the deal. 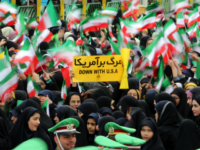 A strong majority of voters — including most Democrats — said the U.S. should renegotiate the Obama administration’s nuclear deal with Iran, according to a recent poll. 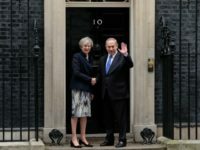 Prime Minister Benjamin Netanyahu and his British counterpart, Theresa May, agreed on Monday that the international community needed to be “clear-eyed” about the threat posed by Iran in the Middle East even as May said the UK remained committed to the 2015 nuclear accord and praised its importance. 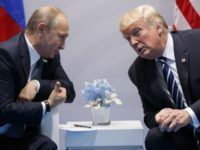 MOSCOW – Moscow warned on Monday there would be “negative consequences” if US President Donald Trump fails to uphold the landmark Iran nuclear deal negotiated by his predecessor.